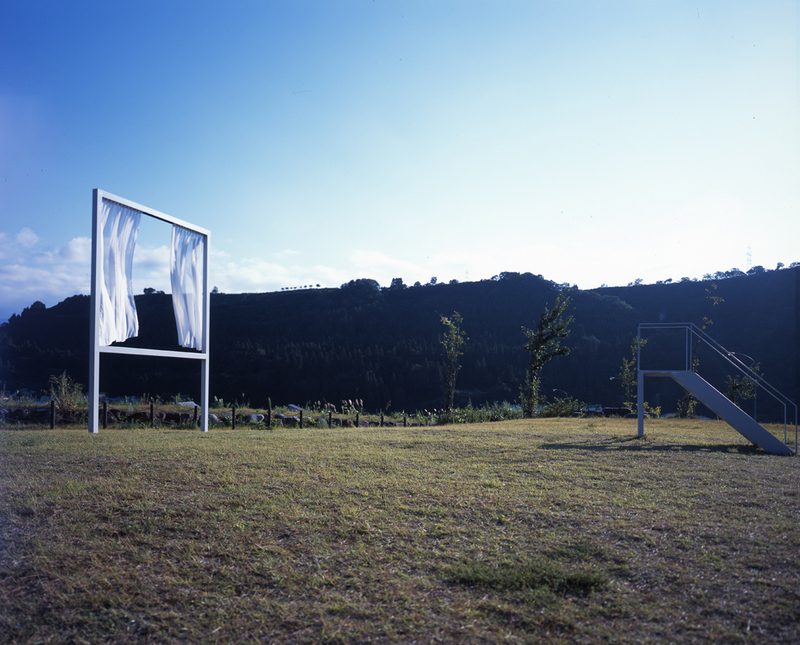 This exhibition was held in an area that suffered a great earthquake, the Chuetsu Earthquake, in 2004. I exhibited the work 2 years after the disaster occurred. Therefore, I wanted to create work that functioned as a means of mourning. 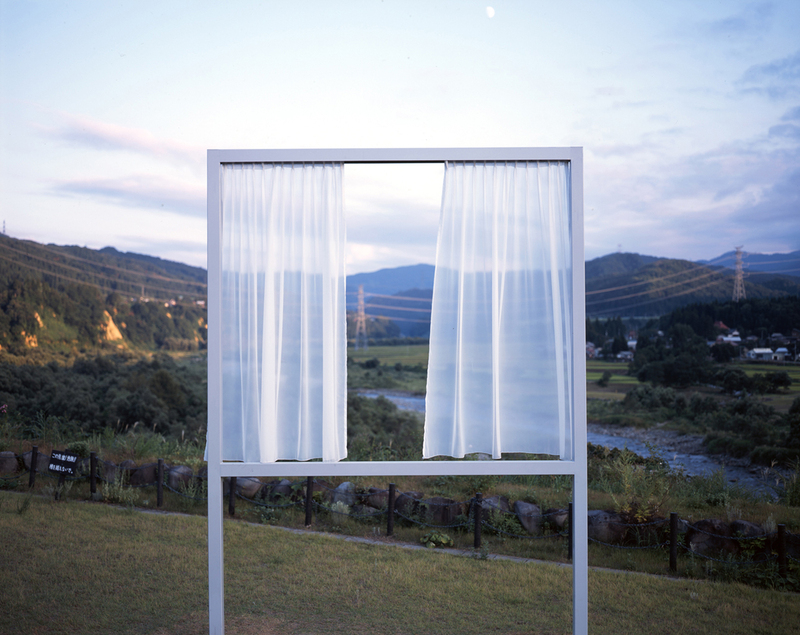 I took the very typical rural scenery of the area and framed it within the windows creating an experience that was much more private, as if looking upon the scenery through the frame of one’s own window and curtains. 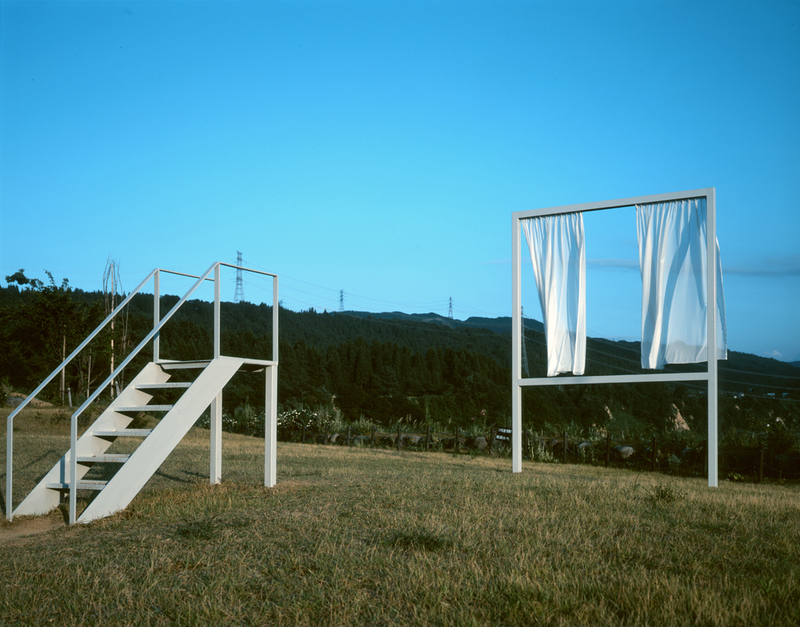 I installed a small staircase that allowed viewer’s to face the view and recognize the scenery anew, one-by-one. Part of the scenery changes as time goes by, but another part has a lasting quality. The swinging curtain makes a sense of a certain time visible. I think this work succeeds in allowing the multiple layers of time to emerge as well as affirms the existence of continuity and duration.